In the past two years we’ve seen a rise in demand for nearshoring to Hungary. In 2014, according to IDC research, the outsourcing services market in Hungary reached €182.80 million. EU and US-based companies choose Hungary as a preferable outsourcing destination in Eastern Europe. First, EU location and jurisdiction. Second, good size of the talent pool (just compare to Macedonia or Moldova) and adequate language skills. Last, but not least, it’s a high living standard at a very affordable cost compared to other EU locations. Dev centers of foreign companies and outsourcing companies fiercely compete for top talent with these Hungarian-born product companies Balabit, LogMeIn, Prezi, Ustream. GoalEurope connects small and medium companies with top software development providers with strong HR brands – in Hungary and other CEE countries – and helps maximize the ROI of outsourcing relationships. Budapest has a very affordable cost of living. According to cost of living comparison service Numbeo, you’ll need twice the same income to keep the same standard of living in Manchester and in Paris, triple this number for London, multiply by five for New York. 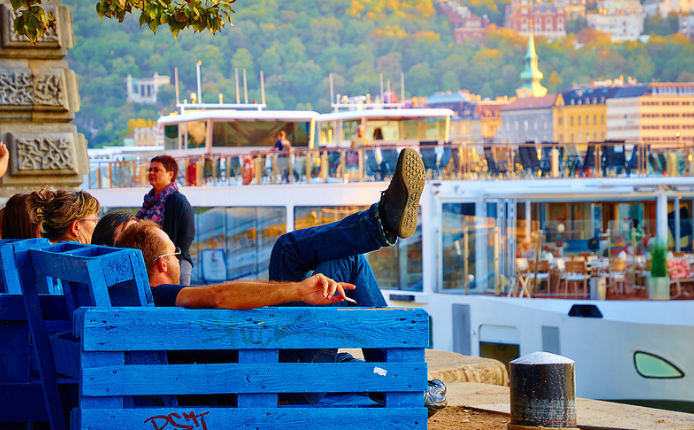 It makes Budapest one of the most affordable and at the same time attractive European cities for expats. Now let’s get back to actual developer salaries in Hungary. In the table below you’ll find gross wages, the data is sourced from www.mennyitkeresel.hu, the local salary comparison website where individuals anonymously fill out the questionnaire about their position, education, location and monthly gross income. As seen in the table below, in the Q2 the median level increased by 23 to 44%, compared to the previous quarter, and gross income outside of the capital is 35-45% lower than in Budapest. IT wages in Hungary are very attractive, however, taxation contributes to 51% of the total cost of employment. I talked to CEOs of several Budapest-based outsourcing companies, and here’s what they said: to have a senior software developer work for you, you’ll pay at least 4,200 Eur/month, including salary and employment taxes. A mid developer would cost 3,000 Eur/month, while a junior – €1,612. Based on this information, you can predict the rates for software development outsourcing in Hungary, by adding operational costs and profit margins. The average market rate a decent outsourcing vendor would charge for a senior software engineer is between €40-45. In addition, Hungary has a unique system of non-cash fringe benefits, a so-called Cafeteria system. It is a very popular form of remuneration, and employers often use them as a competitive advantage in their HR strategies. Fringe benefits are also subject to a more favorable taxation regime, some of them are tax-free (helping employees in buying housing, entry tickets to cultural and sport events, medical screening), others are taxed 35.7% (meal vouchers, back-to-school benefit, voluntary pension or health funds). Get in touch with us to get a quote for detailed developer salary reports on Hungary, Bulgaria, Romania, Serbia Belarus, Ukraine, and other countries in Eastern Europe. We also create on-demand business cases on starting a software development center from scratch in CEE. About 1.5% of Hungarian population of 9.9 million works in the IT services industry. I will spare you a calculation effort 🙂 : there’re +/- 160,000 software developers and tech-related employees in Hungary. The demand for IT labor force outpaces supply, just like elsewhere in Europe. In 2015 Hungary had about 21,000 students enrolled in IT-related programs. A dozen of private training programs forge new software developers, growing the talent pool. Formal higher education: 6.000 graduates. Informal education (coding bootcamps): 500 graduates. CEOs of Hungarian software development companies note that the formal higher education stagnates and needs revamping to keep pace with trends in software engineering. At the same time the informal, project-based and practice-oriented coding programs gain popularity and enjoy the support from small, medium and large companies as well. Another trend is that a significant amount of talented engineers left behind their well paid and secure jobs in giant multinationals such as IBM, Ericsson, Microsoft in order to join startups and small and ­mid-size high-tech product companies during the past 5 years. The key driver behind this is the intention for self-development and opportunity to participate in product development that makes an impact on the local and global scale. Outsourcing to Russia and Belarus: IT salaries comparison.